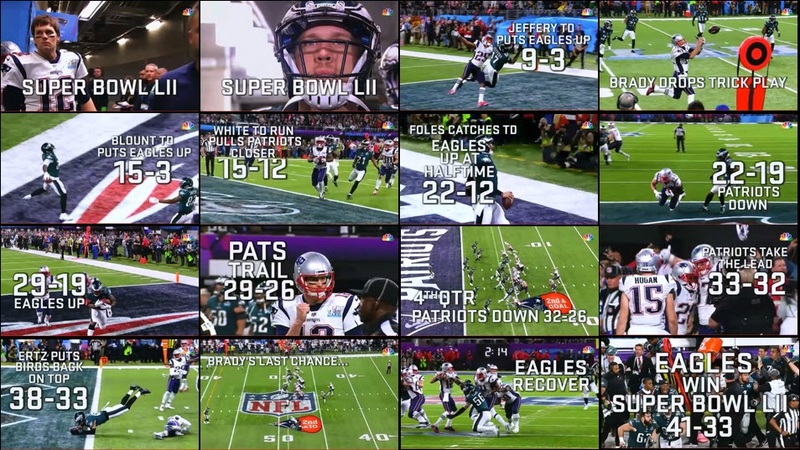 Well, the Superbowl was a bust. The one and only touchdown of the game finally came in the 4th quarter. The New England Patriots won over the Los Angeles Rams, as expected – congrats to them. We did get a little snow on the ground here in Seattle, with more expected overnight. 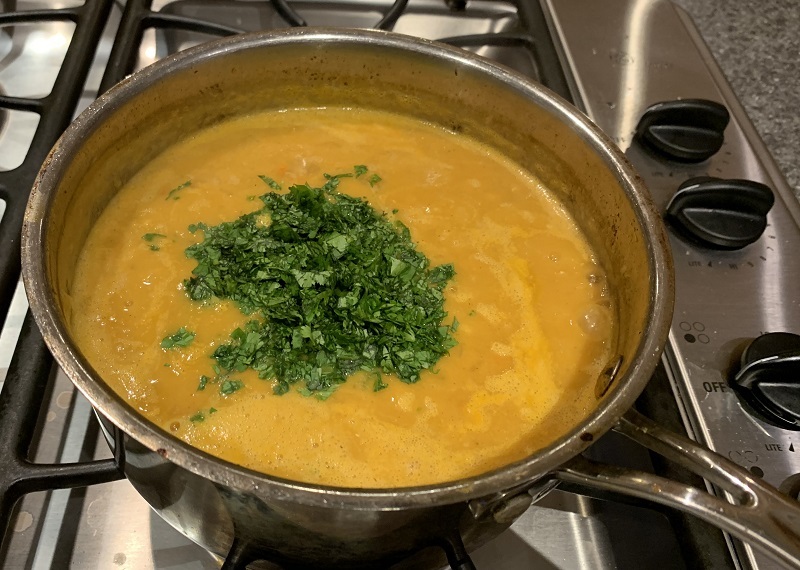 I was adventurous in the kitchen and tried my hand at a red lentil soup. It turned out really nice. The final step in making the soup is adding in lemon juice and chopped cilantro and stirring it in. I didn’t even know before seeing the recipe, that there was such a thing as red lentils! 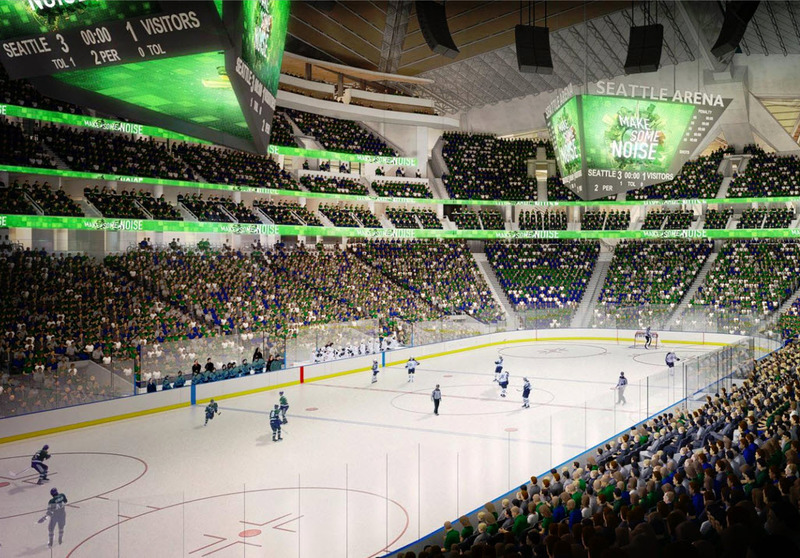 It is almost a done deal, that Seattle will be granted a franchise for a team to join the National Hockey League (NHL). The team actually playing is still two years away. The Key Arena stadium still has to be upgraded, and a team put together – and all that goes with it. In the meantime, the Seattle Times is running an informal survey of its readers to determine a name and a moniker for the team. 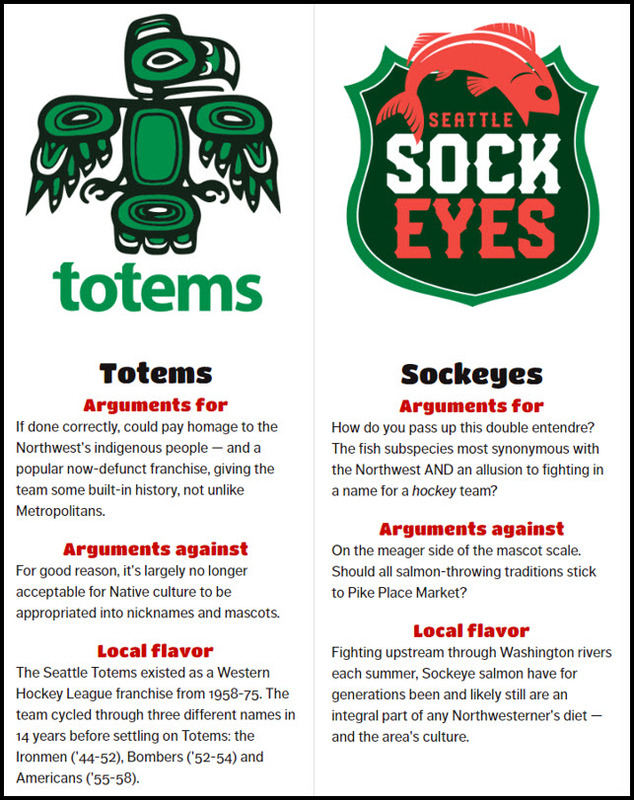 It’s now down to the final two: the Totems, or the Sockeyes – after eliminating names such as Seattle Freeze, Seattle Sasquatches and Seattle Emeralds. 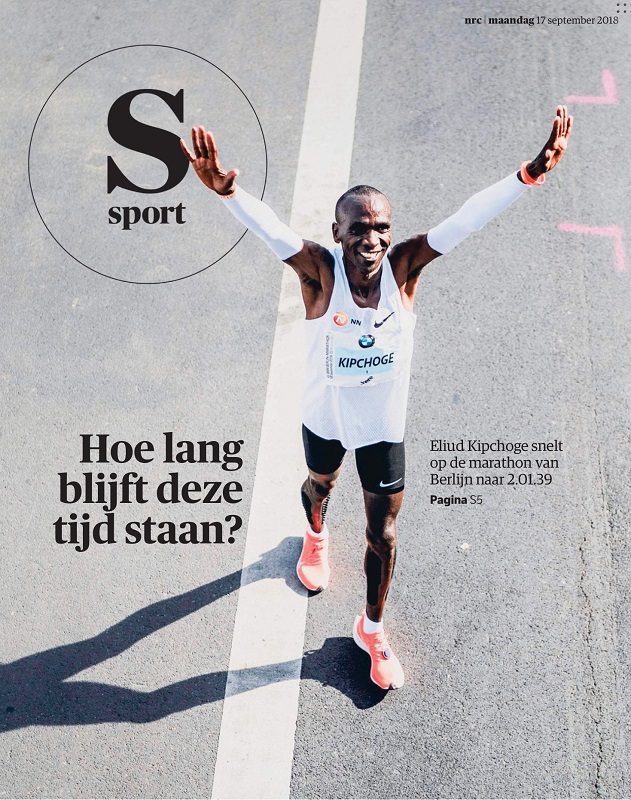 The Kenyan Eliud Kipchoge (33) set a new world record in the Berlin marathon on Sunday. Roger Robinson writes in Runner’s World that he is now, without question, the greatest marathoner of all time. He won every one of the last nine marathons that he had competed in. Oh man! What an unfortunate ending unfolded at the 2018 US Open Women’s Final today. Down by one set, in the second set, Serena’s coach gestured to her to ‘move up’ (not allowed). Chair umpire Carlos Ramos gave Serena a warning, which she took very badly – as an insult, and ‘unfair’ – saying that in men’s tennis they get away with coaching all the time, and much more. (She’s right about that, but this was not the time, nor the place, to argue that). She would not stop berating the chair umpire, and at the next change of sides, called him a thief, and demanded an apology. Then she also broke a racquet on the court. When she again launched into a tirade, it was the third violation, and she was given a penalty of a whole game. As ESPN notes, at least everyone can agree that the winner, Naomi Osaka (20) from Japan, was cheated out of an uncontroversial win. The final point of the match. Osaka (serving from the far side) would close it out 6-2, 6-4 right here. Osaka played great tennis throughout, and displayed remarkable composure through Serena’s meltdown and the drama with the chair umpire. It was a beautiful late-summer day here in Seattle (78 °F/ 26 °C). Friends and I attended a WNBA* women’s basketball game in the Key Arena by the Space Needle. *Women’s National Basketball Association, founded in 1996. There are 12 teams that play in the league. 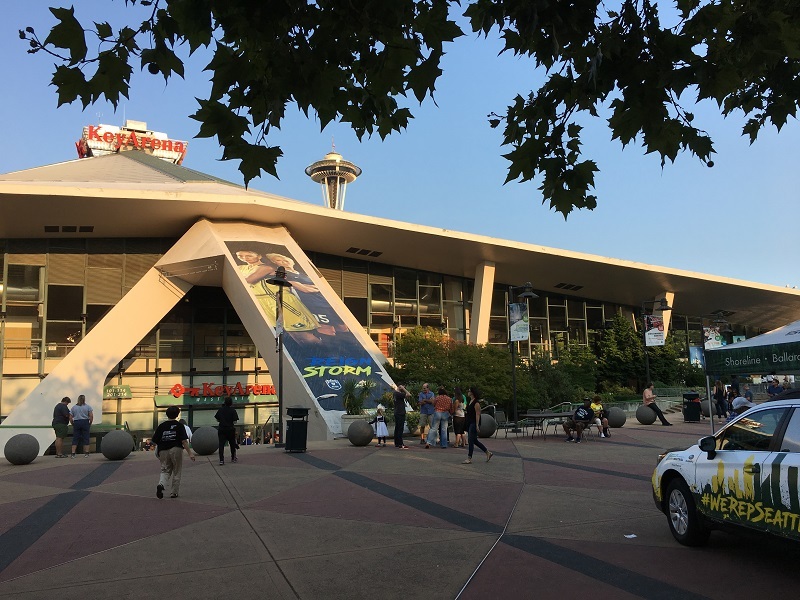 The Key Arena is in Seattle Center, and started out as Washington State Pavilion, at the 1962 World’s Fair (with the Space Needle). 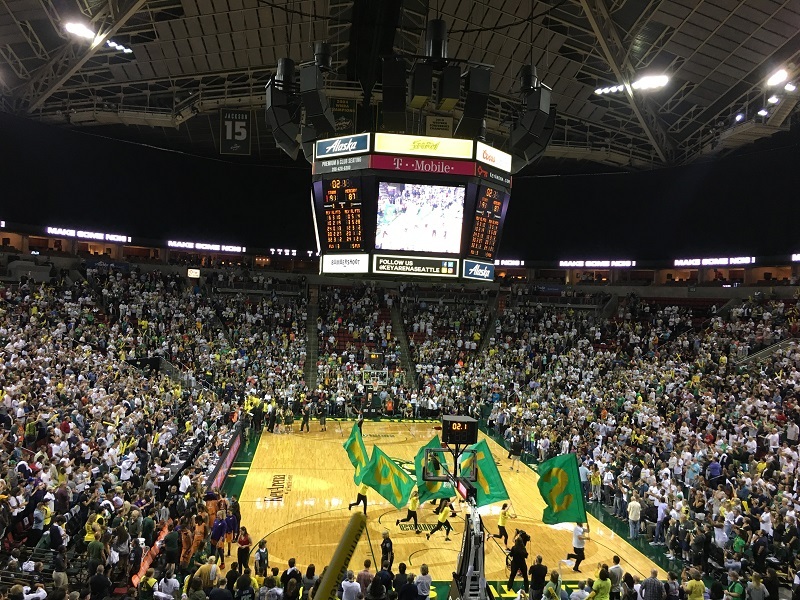 It is currently the home of the Seattle Storm, the women’s basketball team. It’s hard to see in the picture, but the American flag is at half-mast to honor Senator McCain. Here is the scene inside the arena, at the end of tonight’s exciting game. The game went into extra time with Seattle Storm besting Phoenix Mercury 91-87, to go up 2-0 in the Western Conference play-off series. South African sports legend John van Reenen (71) passed away on Tuesday at his home in Calitzdorp, South Africa. (He suffered from diabetes). He studied art right here in Seattle at the University of Washington until 1971, and was a world-class discus thrower at the time. He wanted to attend the 1972 Olympic Games, but was barred as a South African citizen. South Africans were barred by the IOC from the Games from 1964 to 1992, due to the South African government’s apartheid policies. At an event in Stellenbosch, South Africa, in 1975, Van Reenen set a world record with a throw of 68.48 m. Discus throwers studied and imitated his technique, known for a long time as ‘the South African drill’. Perfecting a good technique is notoriously difficult – which may be why the world record of German Jürgen Schult of 74.08 m, set in 1986, still stands today. It is the oldest record in all of men’s track and field. 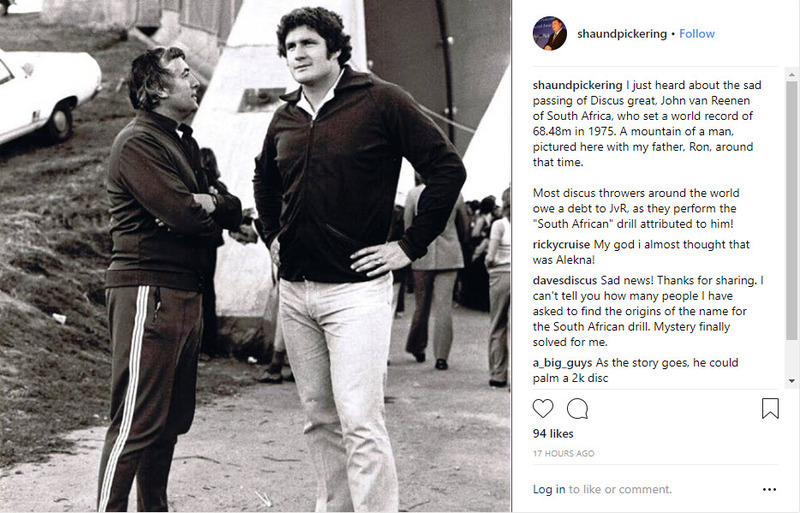 Shaun Pickering posted this picture of his dad Ron (on the left), coach to South African discus thrower John van Reenen. This is around 1975. Brian ‘Babe’ Norton in 1920. [Source: WIkipedia]. 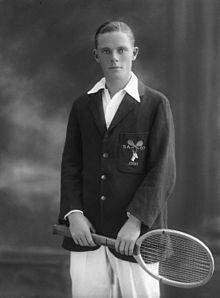 He lost against ‘Big Bill’ Tilden in the 1921 Wimbledon Final. Wow! Kevin Anderson is the first South African in almost 100 years to make it to the Wimbledon Men’s Final (Brian Norton made it in 1921). The match ran for 6 hrs and 36 minutes, Anderson finally prevailing over American John Isner, with a monster score of 7-6, 6-7, 6-7, 6-4 and 26-24. There is no ‘tiebreaker’ (played at 6-6) in the final set. To win, a player have to lead by two games (called an advantage set). So far, the US Open is the only major tournament that dictates that a tiebreaker be played even in the final set .. but I bet other tournament committees are now going to look into doing it as well. Long matches such as these wreak havoc on the tournament schedule, and on the eventual winner’s ability to be ready for the next match. The other semi-final between Djokovic and Nadal had to be suspended, and will only be completed on Saturday. 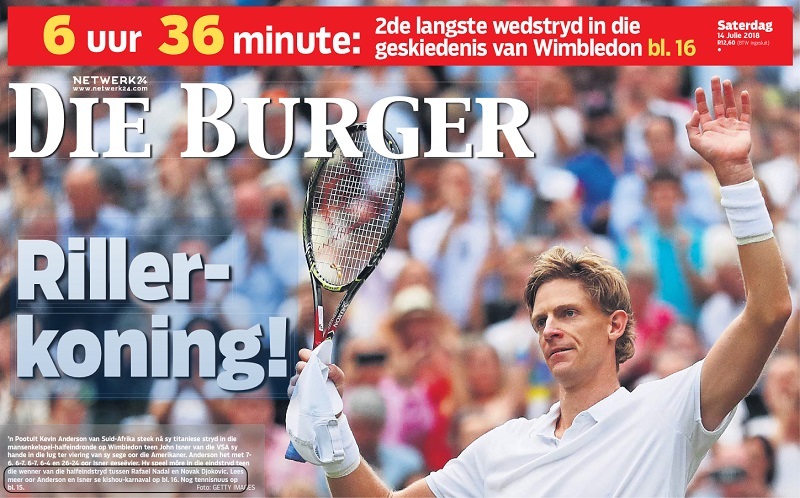 Kevin Anderson on the front page of ‘Die Burger’ in South Africa. Thriller King! says the headline. The Wimbledon Men’s Final and the World Cup Final are both set for Sunday. (England plays Croatia on Wednesday for a place in the World Cup Final against France). So far, Wimbledon’s management has refused to budge, and will not reschedule the traditional 2 pm (1300GMT) start time. The World Cup does start two hours later, at 4 pm (1500GMT), but there is no way the tennis final will have been completed by that time. 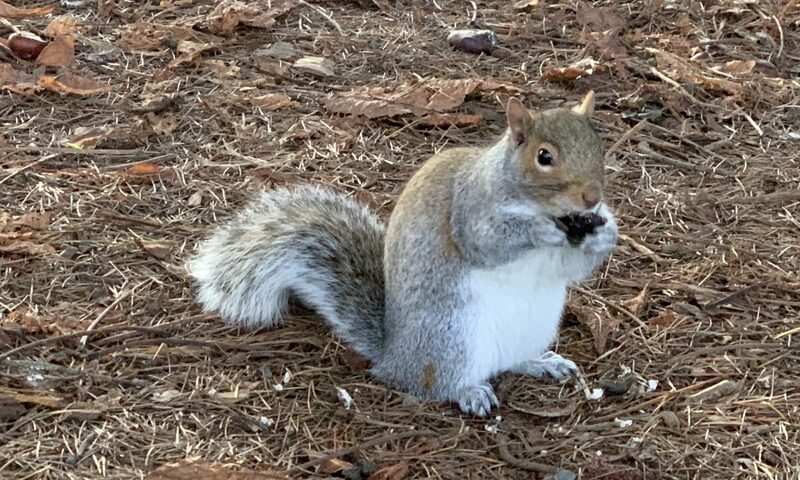 I guess I will have to toggle back and forth – but if Roger Federer plays on Sunday, I will have to miss some of the soccer. It might be the last Wimbledon hurrah for Federer, one of the greatest tennis players of all time. He turns 37 in August. Are there any praises still left to sing? asks tennis.com. Update Wed 7/11: South Africa’s Kevin Anderson beat Federer today in a tough 5-set match (13-11 in the final set). Yay! for Kevin. Aww .. Roger is out after all. And England fell to Croatia, 1-2. So it’s Croatia and France on Sunday. Soccer legend Sir Bobby Charlton (80) greets Australian tennis legend Rod Laver (79). Charlton is regarded as one of the greatest midfielders of all time, and was a key member of the England team that won the World Cup in 1966. [Picture from Wimbledon.com]. 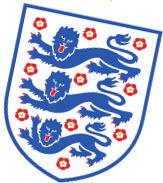 I love the Three Lions shirt badge of the England team. 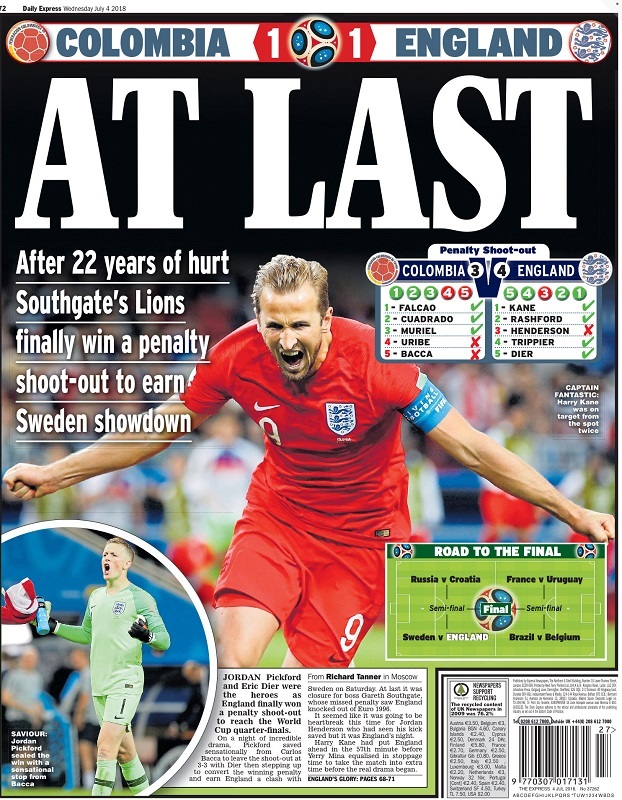 England went through to the final eight in the World Cup, but they made their fans bite their nails through a penalty shoot-out against Columbia. One has to feel sorry for the team that loses in a penalty shoot-out. It’s like the tie-breaker in tennis. A stray shot, a lucky break, a bare miss, makes the world of difference between winning and losing. From the online edition of the Daily Express. (‘Southgate’s Lions’: Gareth Southgate is the head coach of the Lions, the nickname of the England team). Check the green box for the four match-ups in the final eight. I try to watch as many World Cup matches as I can, and I just love the bit of pomp and ceremony at the start. The players come out onto the field with the kids, the giant flags are unfurled on the field, the national anthems play, and the game starts. Denmark and France squared off today, in Moscow. Shortly after this moment, the Danish anthem ‘Der er et yndigt land’ and the French ‘La Marsellaise’ were played, while the camera panned over the players – very touching. [Photo from fifa.com]. 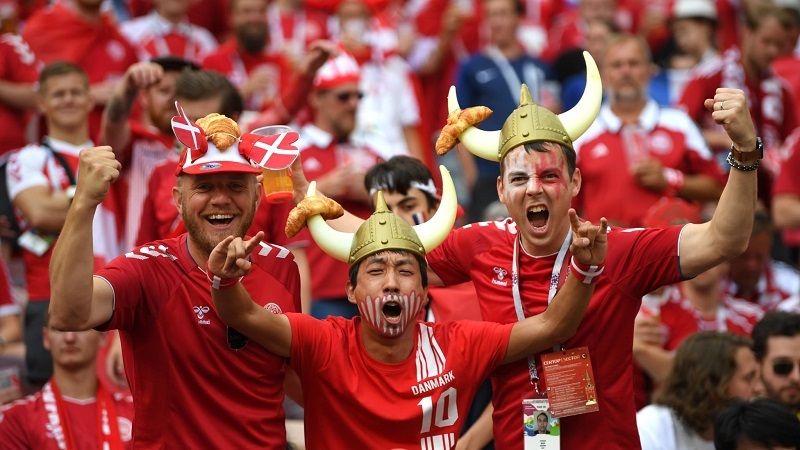 Enthusiastic fans rooting for Denmark. One wonders where in Moscow they found those croissants that they stuck onto their Viking horns! 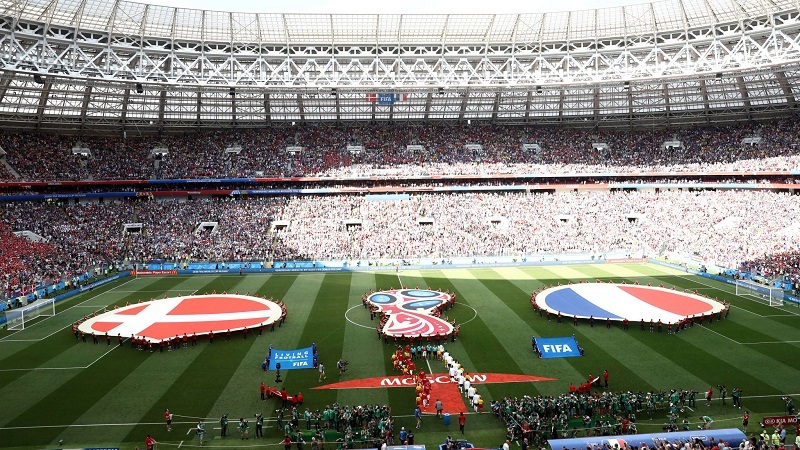 The match ended in a 0-0 draw, and both France and Denmark will go through to the next round. P.S. There is actually no evidence from archaeology and historical sources that Vikings wore horned helmets. [Photo from fifa.com]. Hmm .. I thought, I am a little unsure which are all the modern countries that can lay claim on Viking heritage, so let me check. Looks like it would be Norway, Sweden and Denmark. Finland to the east: not really. 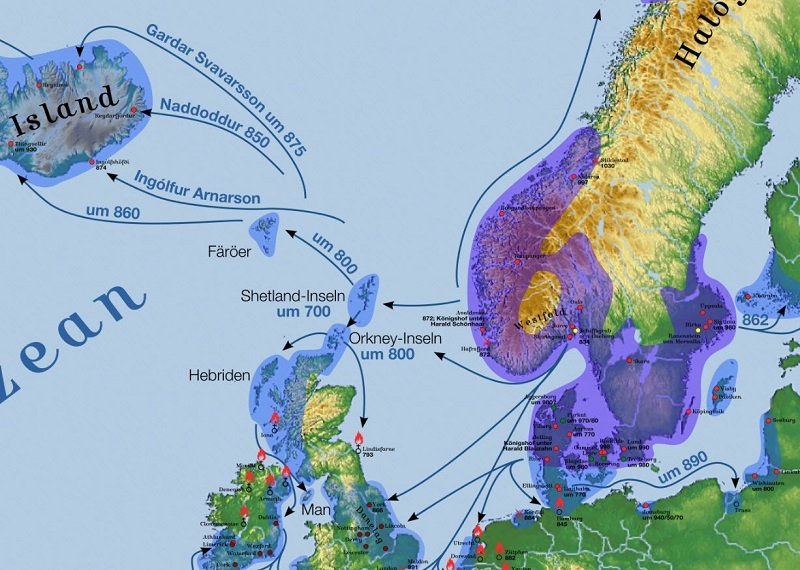 The purple is Viking home territory and the blue areas are territories that they set out and conquered. [Map from Wikipedia]. The 2018 World Cup is underway! 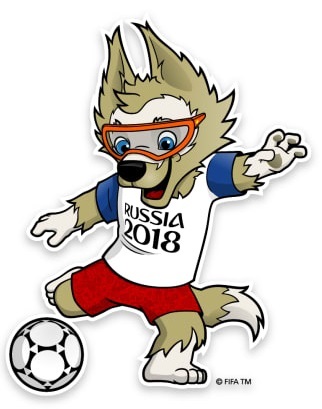 The mascot is a wolf called Zabivaka, ‘the one who scores’. The wolf character beat out a tiger and a cat character by garnering 53% of an on-line vote for Russians. 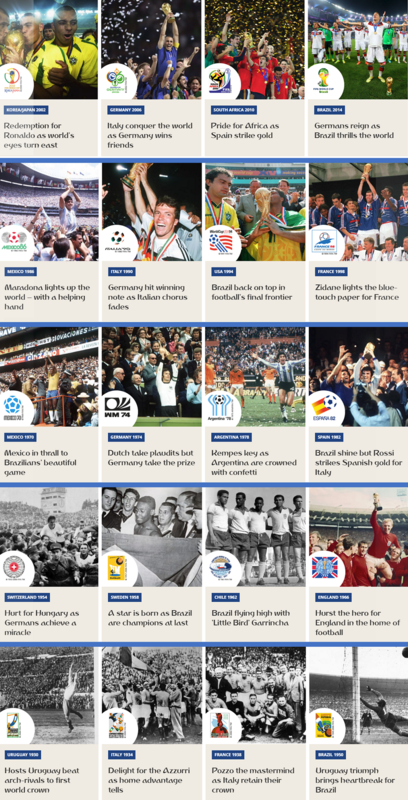 The collage of World Cup winners through the decades, comes from FIFA’s web site. I bet the Germans would love to win again – and that everyone would love to beat them! Cruise ship season is starting up here in Seattle. We saw the Norwegian Pearl from Norwegian Cruise Lines at the pier today. She was scheduled to leave at 4 pm. Also departing Seattle, were a line-up of yachts taking part in the Clipper Round the World race. 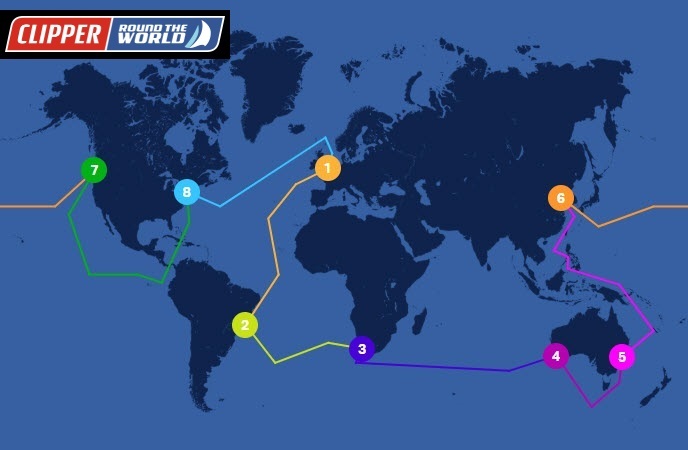 The yachts are heading out to Panama, and will make their way up the East Coast to New York. It will take an estimated 26 days to reach Panama, and another 12 to get to New York City from there. Bon voyage! Here are the yachts in the ‘Parade of Sail’, leaving the Port of Seattle’s Bell Harbor Marina. After a week in its home city, the Visit Seattle team had the honor of leading the Parade, with the boats showing off their team colours. This farewell celebration included a water cannon guard of honour by the Seattle Fire Department, just visible in the distance on the left with its water cannons spraying water. The Masters started in Augusta, Georgia, today. Gary Player (age 82) and Jack Niklaus (78) were on hand to perform tee shots for the ceremonial opening of the tournament. Tiger Woods (42) is attempting a comeback, but had a rough start, finishing 7 shots behind Jordan Spieth, the talented 24-yr old Texan. Check out South African Louis Oosthuizen’s putt on the 16th. He sank a 30-footer by standing with his back to the hole, and judging the sharp break on the putting green perfectly. Big smile and a little shrug of the shoulders afterwards. I loved the pagoda and the traditional Korean costumes [Picture: Panasonic]. The black and white floor image shows a few shadows at the bottom right. 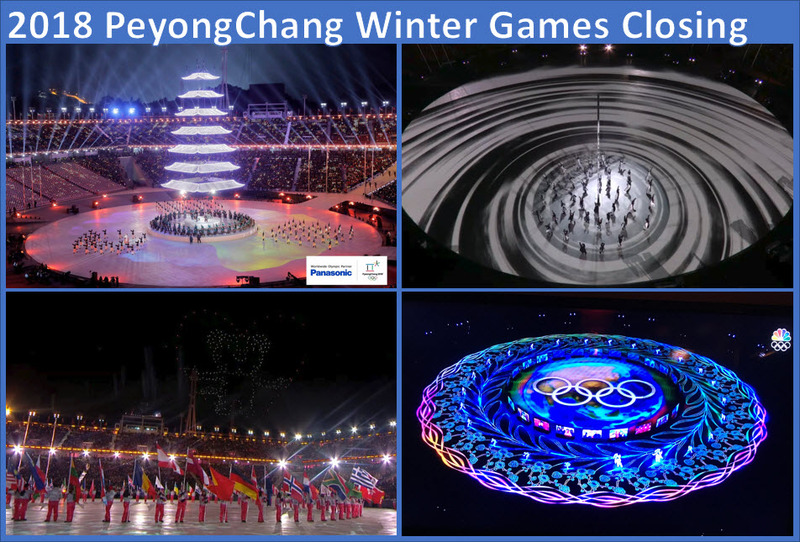 The spectacular imagery on the stadium floor was created by several synchronized ‘large venue’ laser projectors (made by Panasonic). Each put out as much as 30,000 lumens of light, and weigh 83 kg/ 185 lbs. Cost : some $60,000 apiece. 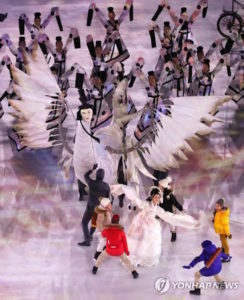 The Intel ‘Shooting Star’ drones from the opening ceremony made a come-back to form the image of Soohorang in the sky (the official mascot). The drones are quadcopters with 6 inch rotors. (Shout-out to the South African flag in the bottom right of the picture). The final screen grab shows a nice Asian blossom/ flower motif. The panda bears in the foreground is the connection to the 2022 Beijing Winter Games. ‘This is just a little lonely that the 2018 Winter Olympic games are over‘ (clumsy but cute translation of a Twitter post, from Japanese). Yes, it is over. Congratulations to the US Women’s Hockey team, and the US Men’s Curling team with their gold medals, and to Norway for their record 39 medaIs, 14 gold! I watched most of the closing ceremony tonight. I see Inmyeonjo/ 인면조 (the ‘human-faced bird’) from the closing ceremony caused a stir among Korean netizens. I loved the short pairs program of Chinese figure skaters Sui Wenjing and Han Cong. Their music was k.d. lang’s dreamy, languid rendition* of Leonard Cohen’s ‘Hallelujah’, and the skaters delivered a flawless and emotional performance. Wow. *Lang sang it at the opening ceremony of the 2010 Winter Olympic Games in Vancouver. 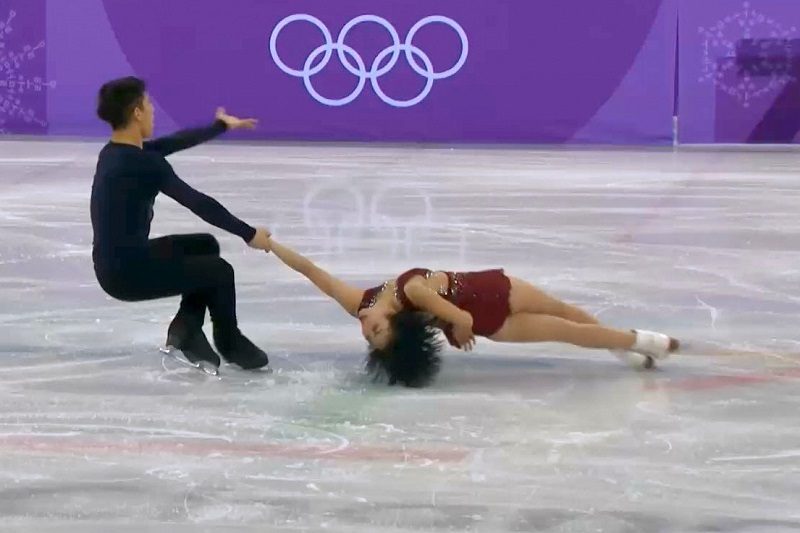 This video still from http://www.nbcolympics.com: ‘Reigning world champions Sui Wenjing and Han Cong from China lead the field after the pairs’ short program on Wednesday, setting them up for China’s first pairs gold medal since 2010. Their emotional, solid short program to K.D. Lang’s “Hallelujah” scored 82.39 points. They took the silver for pairs. It was great to see the unified Korean team come into the Olympic stadium for the opening ceremony. One could argue that Korea is the only divided country that remains in the world. For example, there was North and South Vietnam (united in 1975), East and West Germany (united in 1990), and South North and South Yemen (also united in 1990). And yes, the Soviet Union collapsed in 1991, but one cannot see it become one country again. I read that support for Korean unification is fading, though. Some 50% of young South Koreans regard North Korea as an outright enemy, that they want nothing to do with. The harsh reality is that there is a yawning chasm between the economies of the countries. The per capita income difference between the South and North is 20 to 1. For West Germany and East Germany it was 3 to 1. 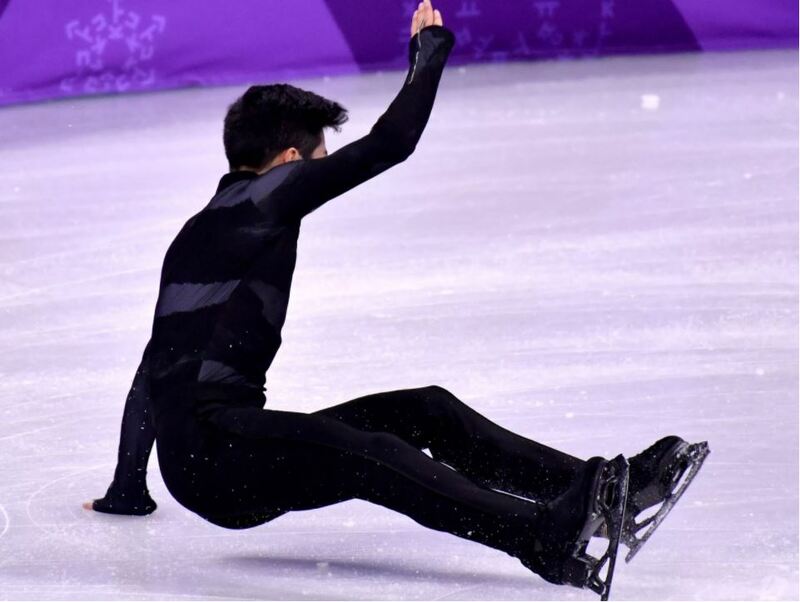 *Chen is the first figure skater to land five quadruple lutz jumps (four rotations) in one program. These jumps take a lot of energy, physically and emotionally. Chen is also the only undefeated men’s skater in the world this season. Philadelphians are celebrating the the streets, after their Eagles defied expectations and best the New England Patriots 41-33 in Superbowl LVII. Eagles quarterback Nick (‘Saint Nick’) Fowles started the season as back-up quarterback for his team. He replaced regular quarterback Carson Wentz in December when Wentz tore a knee ligament. Fowles didn’t inspire a lot of confidence at first, but played brilliantly in the post-season playoffs, and ended up being voted Most Valuable Player. Wow. I had to take a nap this afternoon! I watched the Australian Open Men’s Final in the wee hours of Sunday morning, from 1 am to 4 am. It was totally worth it. Roger Federer won his 20th Grand Slam* championship, at 36, which is unheard of in modern men’s pro tennis. (Both numbers: the 36 and the 20). 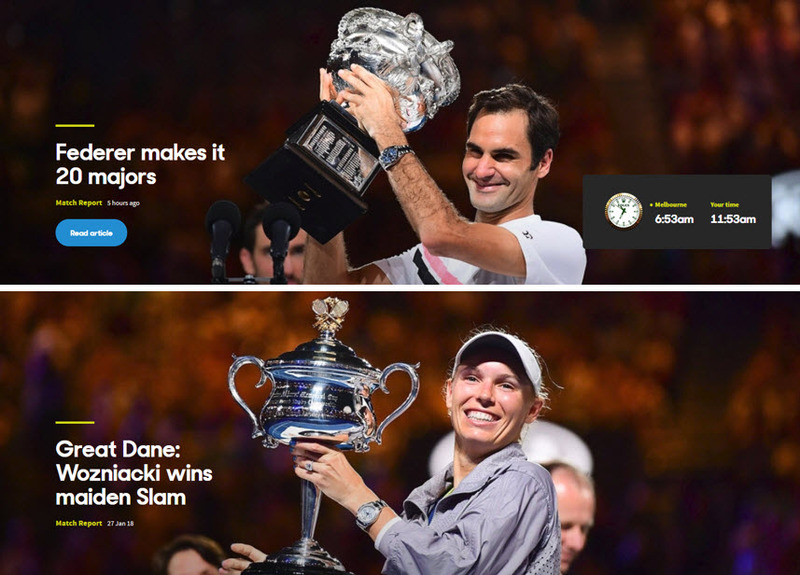 *A Grand Slam tournament is one of the four big ones: Australian Open, French Open, Wimbledon or US Open. Some screen shots from the live feed. Clockwise from the top left: Chilic (say ‘Chill-itch’) pumped up after winning the second set | Australian movie star Chris ‘Thor’ Hemsworth and friend were in the crowd | Roger That, says a fan t-shirt (I want one) | A tearful Federer at the podium, after winning | Wife and No 1 supporter on the tour, Mirka – an ex-tennis professional herself, in the player guest box | Another tennis legend, Australian Rod Laver, taking a picture of the big TV screen. Laver won all four Grand Slam titles in 1962, and again in 1969 – a feat unmatched by anyone else in the history of the game. ‘Keep your eye on the ball’. Federer working his magic. [Picture: Ben Solomon/ Tennis Australia]. 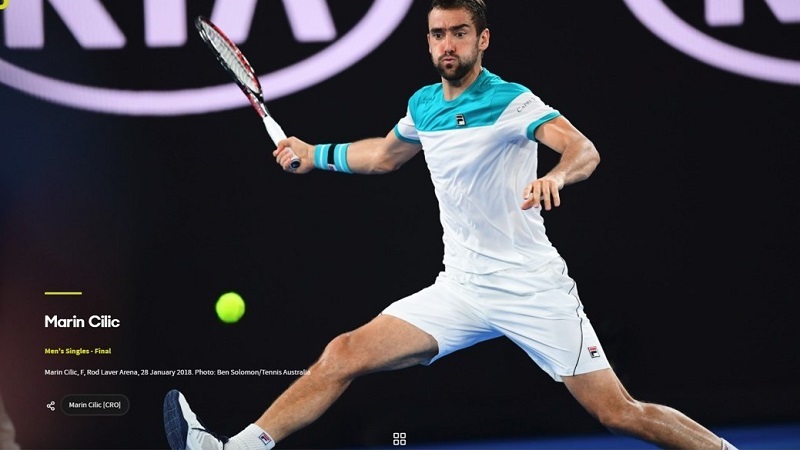 Cilic chasing down a ball. The ‘impossible’ Western Forehand grip that he has on his racquet, is used to put extreme topspin on the ball. I never really used this grip when I played tennis; my impression is that it only became widely popular after my generation of tennis players. [Picture: Ben Solomon/ Tennis Australia]. 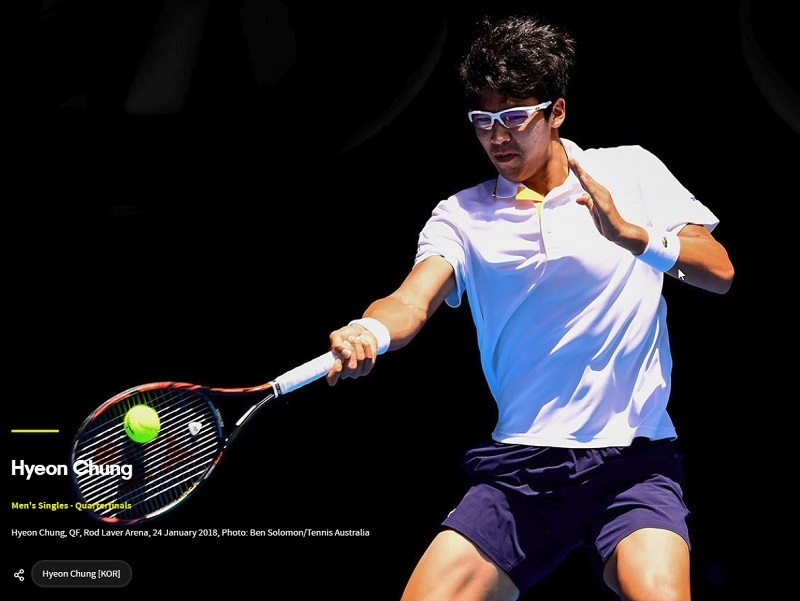 There’s a new kid on the (Australian Open 2018 tennis) block: South Korean Hyeon Chung. 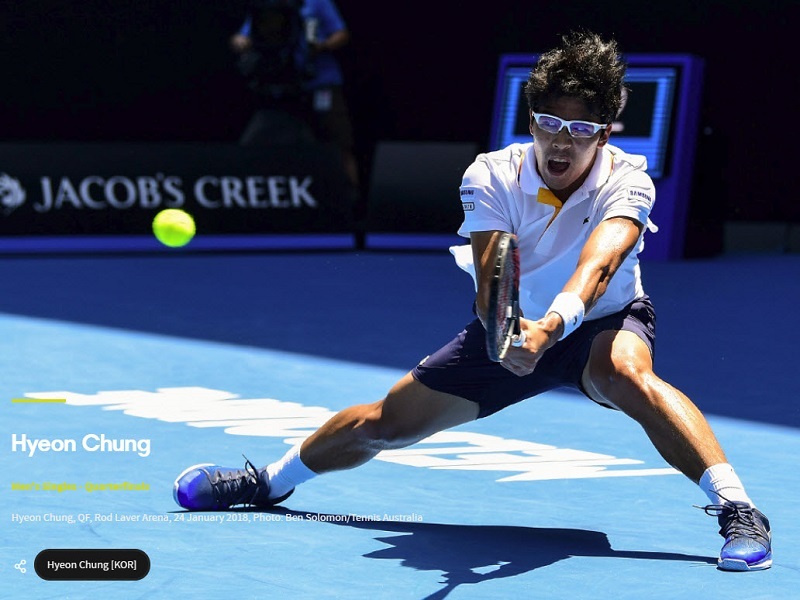 Chung is 21 yrs old, and nicknamed ‘The Wall’ for his ability to return all incoming serves. He reached the AO Men’s semi-final by beating American Tennys Sandgren on Wednesday (Australia time). In the previous round, he took out former World No 1 Novak Djokovic in a great match. 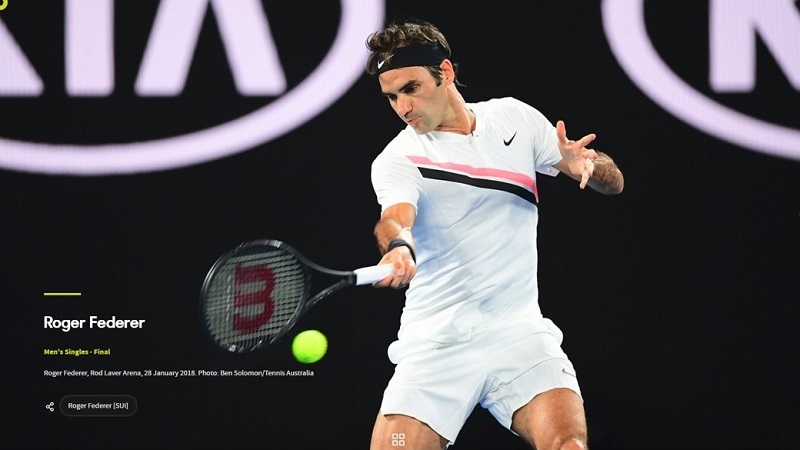 Chung and his new coach, South African Neville Godwin, will have to pull out all the stops for his next match, though : against World No 2 – and arguably the world’s greatest tennis player ever, Roger Federer. Update Fri 1/26: Chung had to throw in the towel and retire from his match against Federer, due to a blister on his foot. He was down 1-6 , 2-5.